^ Eric W. Weisstein (2006). "Galileo Galilei (1564–1642)". Wolfram Research. Retrieved 27 October 2010. 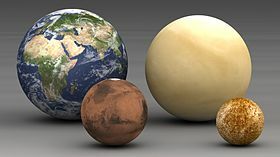 ^ "Discoverer of Titan: Christiaan Huygens". ESA Space Science. 2005. Retrieved 27 October 2010. 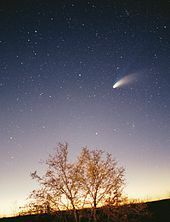 ^ "Comet Halley". University of Tennessee. Retrieved 27 December 2006. 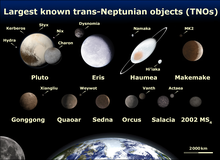 ^ "Etymonline: Solar System". Retrieved 24 January 2008. ^ "1838: Friedrich Bessel Measures Distance to a Star". Observatories of the Carnegie Institution for Science. Retrieved 22 September 2018. ^ a b Marochnik, L. & Mukhin, L. (1995). 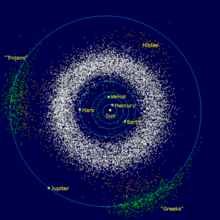 "Is Solar System Evolution Cometary Dominated?". In Shostak, G.S. (ed.). 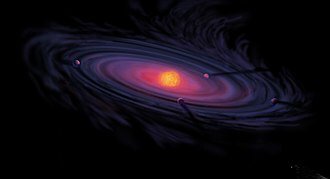 Progress in the Search for Extraterrestrial Life. 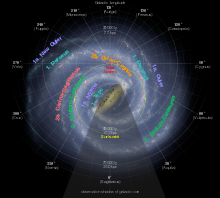 Astronomical Society of the Pacific Conference Series. 74. p. 83. Bibcode:1995ASPC...74...83M. ISBN 0-937707-93-7. ^ Smart, R. L.; Carollo, D.; Lattanzi, M. G.; McLean, B.; Spagna, A. (2001). 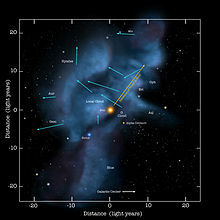 "The Second Guide Star Catalogue and Cool Stars". In Hugh R.A. Jones; Iain A. Steele (eds.). Ultracool Dwarfs: New Spectral Types L and T. Springer. p. 119. Bibcode:2001udns.conf..119S. ^ Ryan Whitwam (18 March 2019). "Mercury Is Actually the Closest Planet to Every Other Planet". ExtremeTech.com. Retrieved 25 March 2019. ^ David C. Gatling; Conway Leovy (2007). "Mars Atmosphere: History and Surface Interactions". In Lucy-Ann McFadden; et al. (eds.). 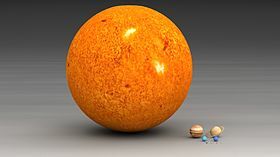 Encyclopaedia of the Solar System. pp. 301–314. ^ Morbidelli, A.; Bottke, W.F. ; Froeschlé, Ch. ; Michel, P. (January 2002). W.F. Bottke Jr.; A. Cellino; P. Paolicchi; R.P. Binzel (eds.). 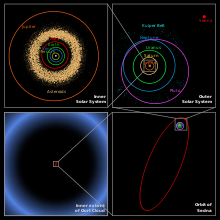 "Origin and Evolution of Near-Earth Objects" (PDF). 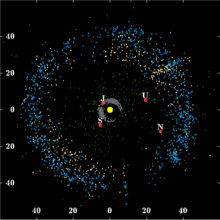 Asteroids III: 409–422. Bibcode:2002aste.book..409M. ^ a b Stephen C. Tegler (2007). 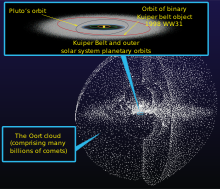 "Kuiper Belt Objects: Physical Studies". In Lucy-Ann McFadden; et al. (eds.). 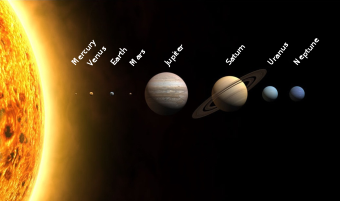 Encyclopedia of the Solar System. pp. 605–620.